I adore cold soba, and every time I shop at Daiso (only the best Japanese $2 store in the world), I go a bit overboard with buying every brand of soba available. Generally, I have been using the noodles to add some carb-y substance to my salads; this Soba Salad recipe my mom makes is one of my favorites. 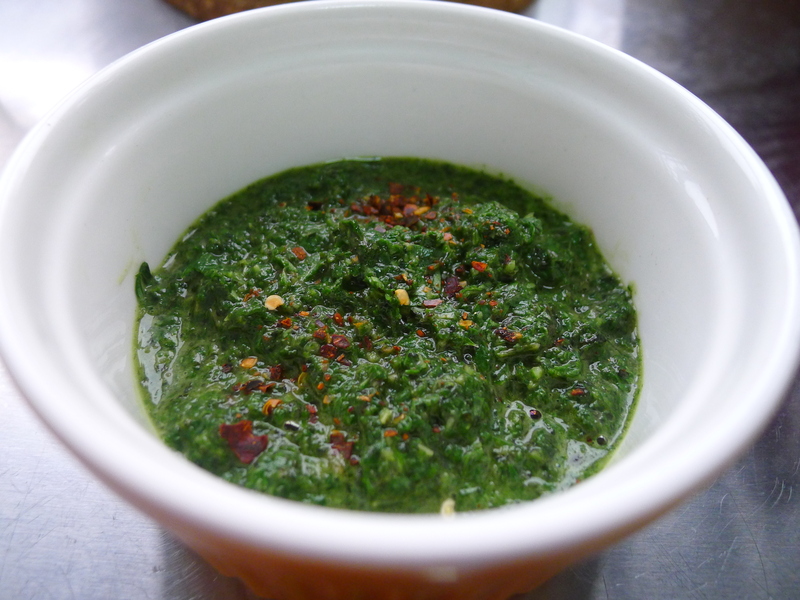 Most recently, I discovered another great cold soba recipe when I randomly made a batch of Thai Basil Pesto. 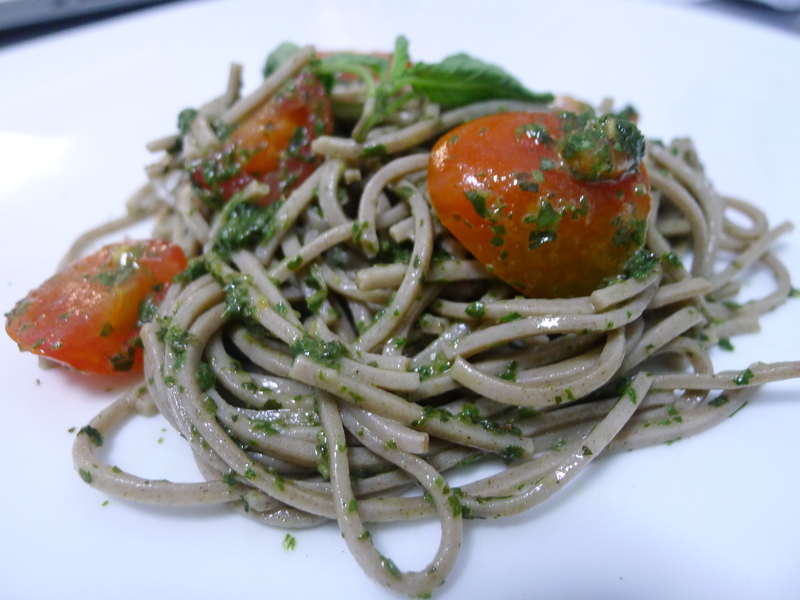 I simply tossed some cold soba with the pesto and fresh cherry tomatoes and the results were so refreshingly light and flavorful. This zesty Asian-influenced pesto pasta is a great snack or side dish, and a healthy break from the cheese-smothered pastas and oily fried noodles that I typically enjoy. For another pesto recipe, try this Homemade Pesto with Penne Pasta. Prepare soba noodles as per package. Rinse in cold water and drain well. Toss well with the pesto and cherry tomatoes. Serve chilled.